Kangaroo was my favorite Donkey Kong clone. I never cared much for Congo Bongo because the isometric perspective didn't gel with me, but it's worth playing. I found a new one while I was just playing around on the Internet Arcade. It's called Atomic Boy. It's clearly Donkey Kong influenced, but they decided to amp up the difficulty immensely. Jrecee wrote: Miner 2049er all the way. Not sure which is the best version, but I'm guessing it's the atari 400/800 one, which is what I have. I recently made a game in this realm called 'Dad Vs. Food'. I'll send it to you if you want. I second this suggestion. Miner 2049er is an excellent suggestion. Another game I would recommend would be Lode Runner. Although it is more puzzle oriented, it still has lots of platforming and it features single screen levels. 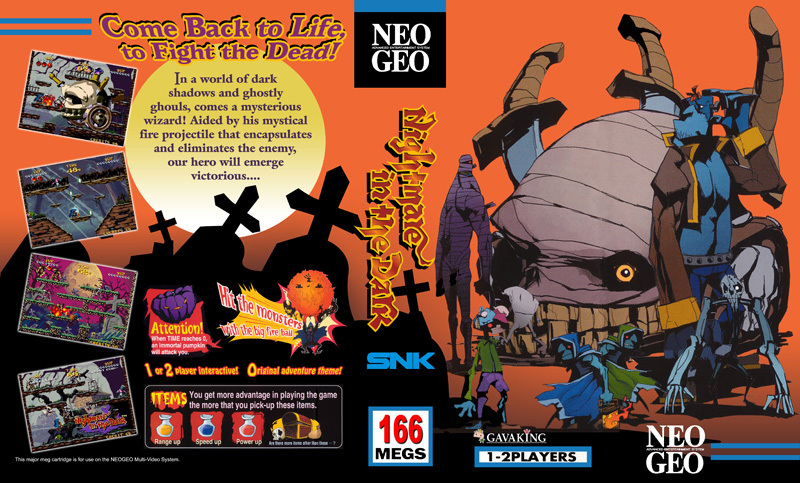 Although it isn't quite the type of platformer mentioned in the OP, Nightmare in the dark seemed quite good from the video and I didn't know about it. Thanks. Surprised ppl don't know of Nightmare in the Dark. One of the best Neo Geo games, imo. And I just got an Atari 600XL so I'm very interested in exploring that library.